If you have been following my on instagram, you would have caught my giveaway on these gorgeous Shu Uemura NEW Rouge Unlimited Sheer Shine Lipstick! Presenting to you, the 4 out of 12 gorgeous colours from this lipstick range, which is probably one of the most moisturising lipsticks I have so far. 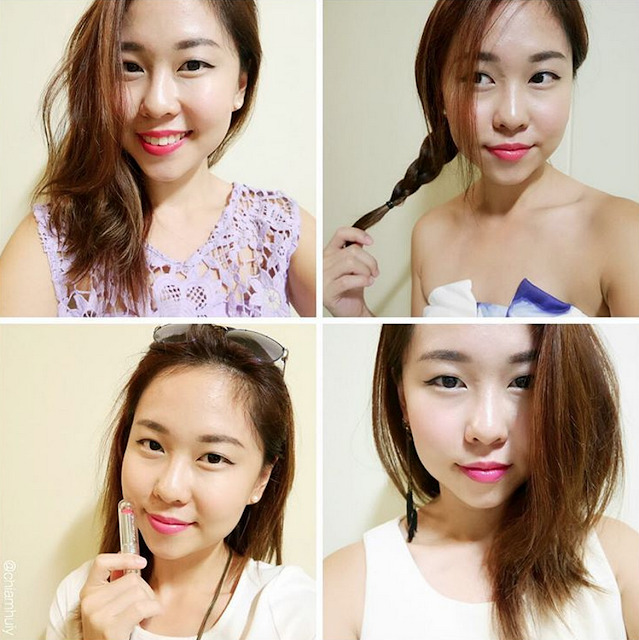 This is my first time trying out Shu Uemura Lipsticks and I must say, I am in love! These Shu Uemura Rouge Unlimited Sheer Shine Lipstick colour isn't very intense upon first swatches (but not too sheer). It is considered relatively more moisturizing and it sways towards more of a lip gloss, but in a lipstick form. You can still decide the intensity of the colour payoff by doing multiple swipes, which is what I do depending on the occasion. There are a total of 12 shades in the Shu Uemura Rouge Unlimited Sheer Shine Lipstick collection. The four colours that I picked are also the four featured colours in the range. There are four color schemes altogether: Wine, Coral, Pink and Red. If you ask why am I so in love with these lipsticks and been keeping them in my makeup pouch despite having soooo many lipsticks, I think I have a good answer for you. For people like me with occasional dry lips, moisturising lipsticks are always preferred over matte lipsticks. Plus, these lippies give a sheer shiny finish which can improve the looks of my dry lips, making them look less dry and chapped. Speaking of which, these lipsticks glides on very well too thanks to the combination of macadamia nut paste and soft wax formula. It glides on so smoothly, it gives a very nice soft melting finish touch on my lips. 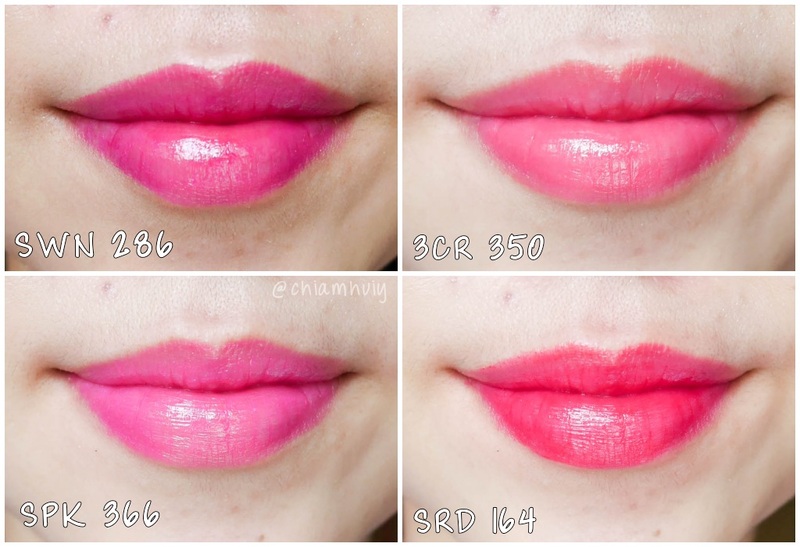 This is why I really love these lipsticks a lot! Different colors can exude a very different mood for various occasions. 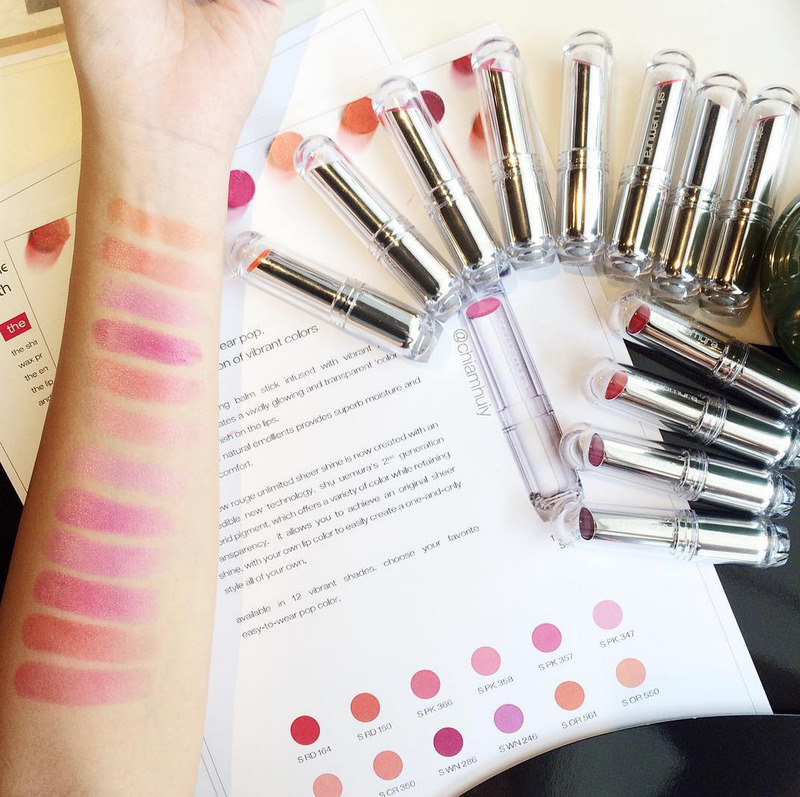 Since these Rouge Unlimited Sheer Shine Lipsticks are pretty sheer, you can easily pair two colours together without really covering your natural lip colours. Sheer colours of the lipsticks also allow you to easily match two lipsticks on the upper and lower lips respectively.